My road trip through the US is kind of like a tale of two adventures. 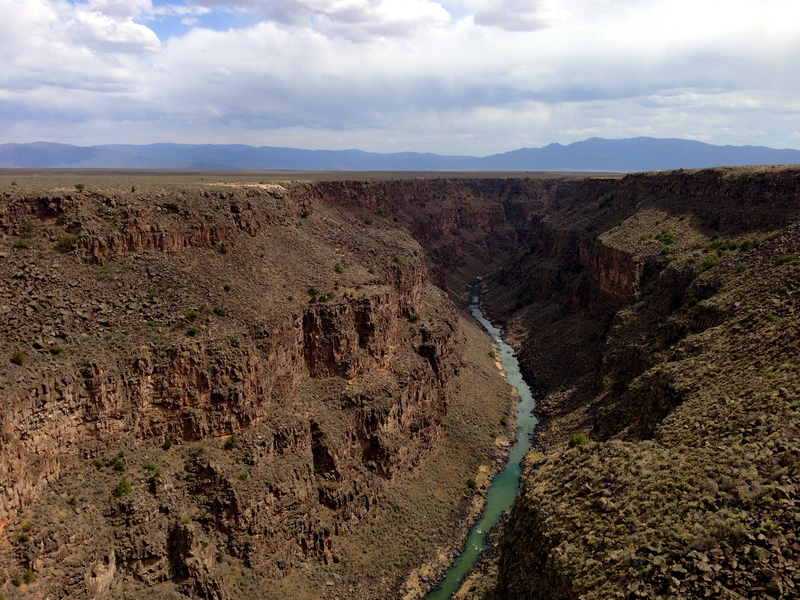 And those adventures dovetailed in Taos, NM. The first leg of the adventure included lots of friend/family time, great food and amazing wine. And lots of over-indulging. Especially in Austin where it was borderline gluttony. (I couldn’t control myself at Mellow Johnny’s Sips & Sweets where there was free dessert after free dessert after free dessert.) But it was an amazing opportunity to catch up with friends and family (and to surprise my niece and nephews!). To try new foods like antelope, sweetbreads, headcheese…one of which I will not try again. To see a favorite chef, Graham Elliott, and partake in a grilling demonstration led by Tim Love at the Austin Food and Wine festival. To eat more BBQ in one night than I’ve had in the last three years combined. To see Bob Schneider play at the Saxon Pub. And then to have the illusion broken by auto-tune (enough already, T-Pain) and speaking to him in person (Not that cute up close, ladies). Now I’m shifting into the second adventure, which will include more solitude, nature, outdoor adventure and no makeup. (My version of getting ready for dinner tonight was changing from my flip flops to flats. And it was a nice restaurant. I should be embarrassed.) 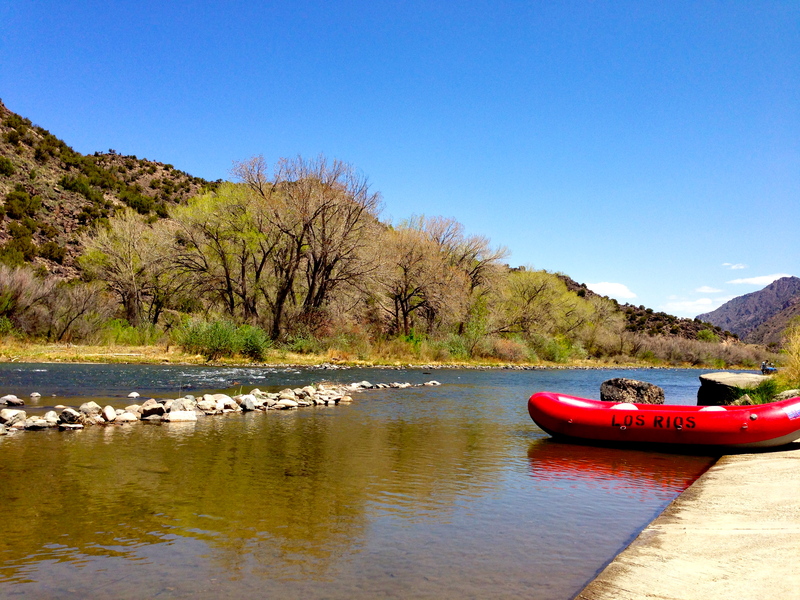 Taos, NM was my transition from city to outdoors. I tried a new outdoor activity—whitewater rafting—but still had the comforts of a lovely B&B (La Dona Luz) and delicious food at Love Apple (an amazing restaurant focused on regional, organic foods). And the quaint town just lends itself to a slower pace. I’ve never been rafting before, but it’s on my bucket list. The scariest part of trying something new is often the anticipation, the build up in your mind. And that was certainly the case for me with rafting. It’s the low season, so whitewater rafting on the Rio Grande ended up being NOT quite as heart pounding as I expected (hoped for??). It was definitely an enjoyable way to explore a beautiful river, however. It just wasn’t nearly as scary as my mind had built it up to be. Granted, it was only class I, II and III rapids. There were moments of excitement, a few tricky turns here, fast flowing water there, some rocks to avoid, me getting annoyed with the ‘princess paddling’ of the other girl in the raft (I see you!!). But they were too brief and infrequent for me. The upside was that I stayed mostly dry (because the water was fairly cold). But now I’m left wondering if I can cross this off my list. I want to. I really really want to. But I think I need to try a harder rapid first. I mean…my after picture actually looks better than my before picture! And unfortunately there’s no action shot. So it’ll stay on the bucket list for now, with a footnote. 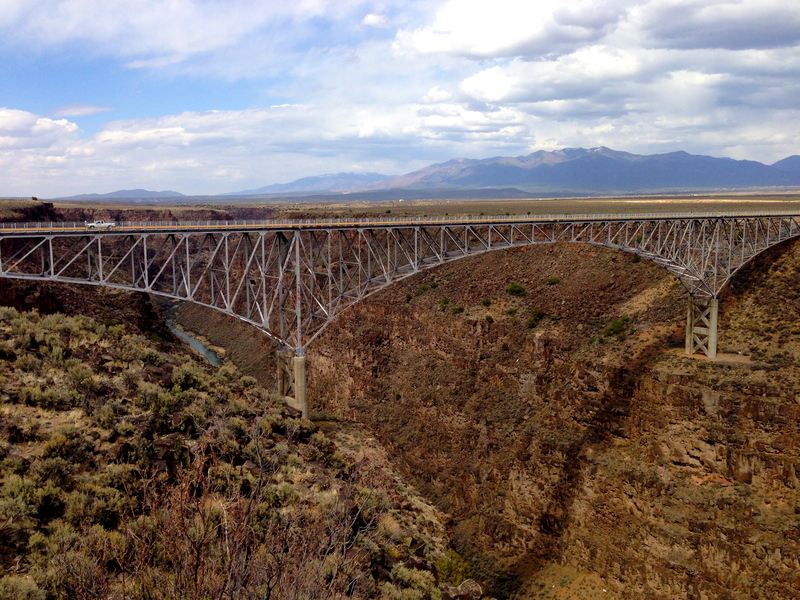 And also a couple of pics from the Rio Grande Gorge Bridge…because it’s quite incredible. Tomorrow I set off early inthe morning for a seven-day hiking/camping trip in the Grand Canyon. I’m going South Rim to North and back. Considering I have to carry all the gear and food on my back, I’m guessing my imagined version might be as bad as the real version for this leg of the trip.